Apple’s smaller iPad to likely start at a minimum of $329 in the U.S.
Apple’s entry price for its upcoming smaller iPad is between the base model of the new, fifth-generation iPod touch ($299) and the currently shipping WiFi-only 16GB iPad 2 ($399). According to our sources, the base model of the smaller iPad will likely be priced at a minimum of $329 in the United States. 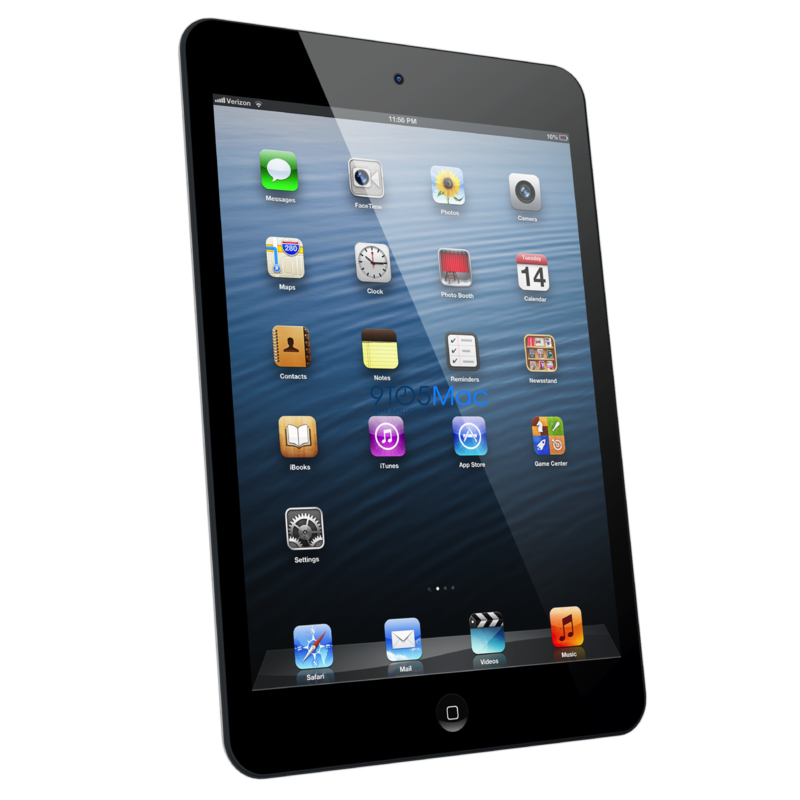 Two higher capacities of the smaller iPad will be available in the WiFi-only configuration. These will likely be priced at $100 premiums over each other at a minimum of $429 and $529. It is possible that this base price for the smaller iPad could be higher, but our best guess is $329. When placed in Apple’s current pricing matrix of its iOS devices, a starting price of $329 makes sense. The new iPod touch will continue to be cheaper than Apple’s new tablet, while the smaller iPad’s pricing will also be nicely spaced under and between the new full-sized iPads. We created the likely pricing matrix for the smaller iPad shown above. We previously detailed that the smaller iPad hardware would be akin to an iPod touch, sporting skinny size bezels in comparison to the bezel on the iPad with the 9.7-inch display. Numerous reports have pinpointed that this new iPad variant will feature a 7.85-inch display, the new Lightning connector, front and rear cameras, and an ultra-thin and light design. We, and others, have also heard that Apple is currently planning on making the smaller iPad available on Friday, November 2nd. It will be announced at a media event on October 23rd. This key starting price of $329 is considerably higher than the $199 entry level price of Google’s Nexus 7 and $159 price of Amazon’s Kindle Fire. However, with 250,000 iPad-optimized apps, large iTunes Music, TV Show, Podcast, and Movie collections, digital book reading and purchasing through iBooks, and Apple’s large, integrated ecosystem of other products and accessories, the premium will likely be worth the money for a lot of people this holiday season. -Seth Weintraub contributed to this article.